Getting around Durham is easy for our guests when they know about all of the transportation resources available. Morehead Manor Bed and Breakfast is proud to live in the Bull City where we have many modes of transportation. We will discuss the various ways to move about during your stay. Did you know that more than half of the United States population lives within a day’s drive or an hour’s flight of Durham? Durham is convenient to interstates, served by an international airport, and has numerous other transportation options around town. The following is a guide put together by the Durham Convention and Visitor’s Bureau. This provides useful transportation information to travelers. There are several options for airport transportation, including taxis, shuttles, limos, rental cars, and regional transit buses. RDU Taxi is the official taxi company of RDU airport, offering 24/7 transportation. Meter rates are charged for rides to Durham and a typical 14-mile one-way fare would be about $30. Call 919-840-7277 to schedule a ride. In addition to nighttime service to/from Raleigh and Durham (Thursday through Saturday nights), offers event specific service to Bulls games, Durham Performing Arts Center, etc. The Bull City Connector is a fare-free bus service that connects many of Durham’s central destinations, including Duke University, Ninth Street, Downtown Durham, and Golden Belt. Serves all parts of Durham, including RTP (Research Triangle Park). Schedules vary by bus route. Busses are wheelchair accessible and have bike racks. Amtrak is the nation’s intercity passenger rail operator, serving 46 states, the District of Columbia, and three Canadian provinces. Durham terminal for the nation’s largest provider of intercity bus transportation. 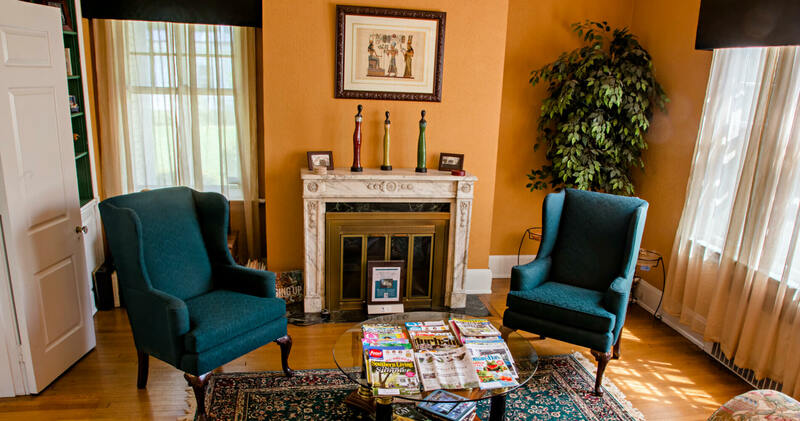 When guests arrive at Morehead Manor Bed and Breakfast, we help them feel right at home and give them as much attention (or privacy) as they request. Each morning wake up to a delicious gourmet homemade breakfast to get your morning started right! We are happy to provide any information or directions to places in our Durham, North Carolina community. Our guests always love experiencing everything that the Bull City has to offer! This entry was posted in Uncategorized and tagged airlines, Durham, Durham Convention & Visitors Bureau, homemade breakfast, limousine services, Morehead Manor Bed and Breakfast, public transit, RDU International Airport, rental cars, taxis by admin. Bookmark the permalink.